As the NFL’s players and owners work toward a new collective bargaining agreement that could end the lockout before the Fourth of July, Eagles general manger Howie Roseman sits anxiously in his office at the NovaCare Complex, itching for the fireworks to begin. Armed with an expendable quarterback, Kevin Kolb, that numerous teams covet and secure in the conviction that the Michael Vick-led Eagles can contend for a Super Bowl championship, Roseman can’t wait to start wheeling and dealing in rapid-fire fashion. 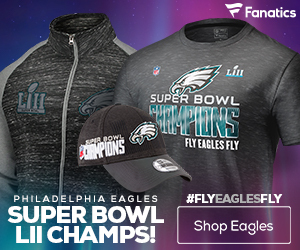 With the Eagles coming off a surprisingly successful season which ended 27 yards short of a playoff triumph over the eventual Super Bowl champion Green Bay Packers, Roseman is – with apologies to “American Idol” judge Randy Jackson – in it to win it. 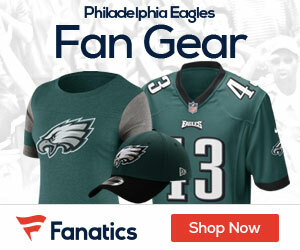 Though the owner-imposed lockout prevents Roseman from commenting on specific players, another Eagles source familiar with the organization’s thinking threw out names like Redskins defensive lineman Albert Haynesworth, ex-New York Giants wideout Plaxico Burress and even current New Orleans Saints halfback Reggie Bush as players Philly might explore as potential acquisitions. Roseman, who turns 36 next week, has been preparing for the lockout’s abrupt end and league year’s beginning – and the corresponding start of free agency and allowance of other player transactions – for the past several months.